"We felt like celebrities, especially when we were given Champagne – it was the best Christmas present ever, we couldn't believe how kind and lovely everyone was," Stevens said. Have you ever dreamed of finding yourself on a giant plane, all for yourself? That dream came true for Laura Stevens and her two friends Sarah Hunt and Laurie-Lin Waller who had the time of their lives after discovering they were the only passengers on a British Airways flight for 150 people. The women were due to fly back to the UK on a 5:20 p.m. flight from Gibraltar to London Heathrow after a three-day break. But their flight was delayed by three hours so they decided to turn up later to the airport. On arrival, they discovered that all the other passengers had been checked in onto an earlier flight. 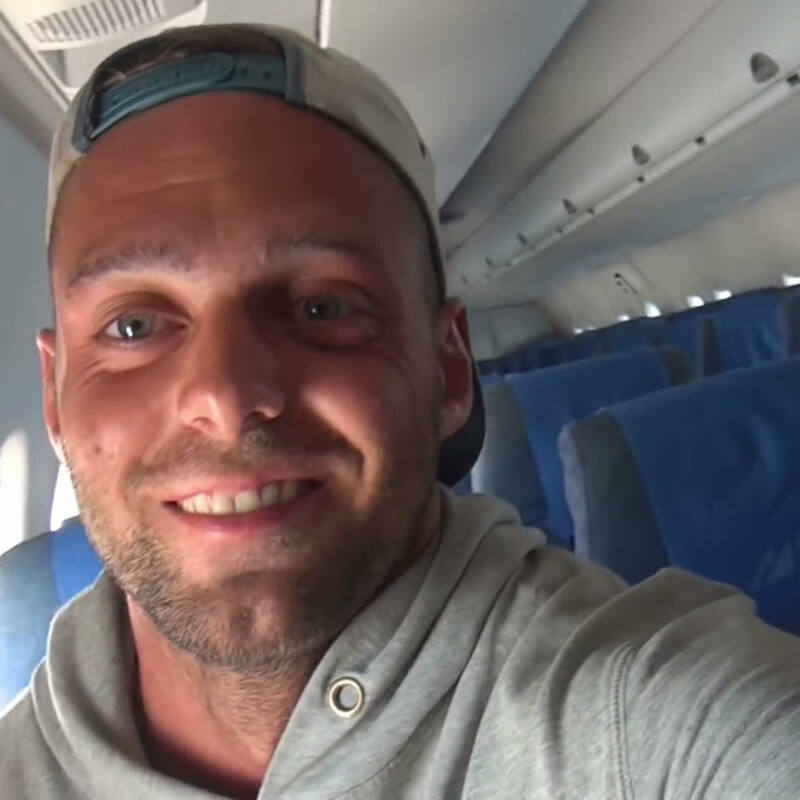 So Stevens, a TV producer, said cabin crew upgraded her and her friends into business class seats despite having them paid just £80 (S$142) each for an economy return ticket. They were treated to to a three-course meal, Champagne and posed for selfies with the captain of the flight. Stevens chronicled the once-in-a-lifetime experience in a series of tweets. "It was an amazing, once-in-a-lifetime experience that we'll never forget," Stevens said. "We felt like celebrities, especially when we were given Champagne - it was the best Christmas present ever, we couldn't believe how kind and lovely everyone was." "We were the only people in the departure lounge so staff let us use the executive suite, which is usually reserved for business flight passengers." "Then we mentioned how we'd hoped to buy our family gifts at the airport, and staff opened shops so we could browse. It was as though we'd hired out the place just for us." British Airways confirmed to Mashable that the unusual adventure actually took place. 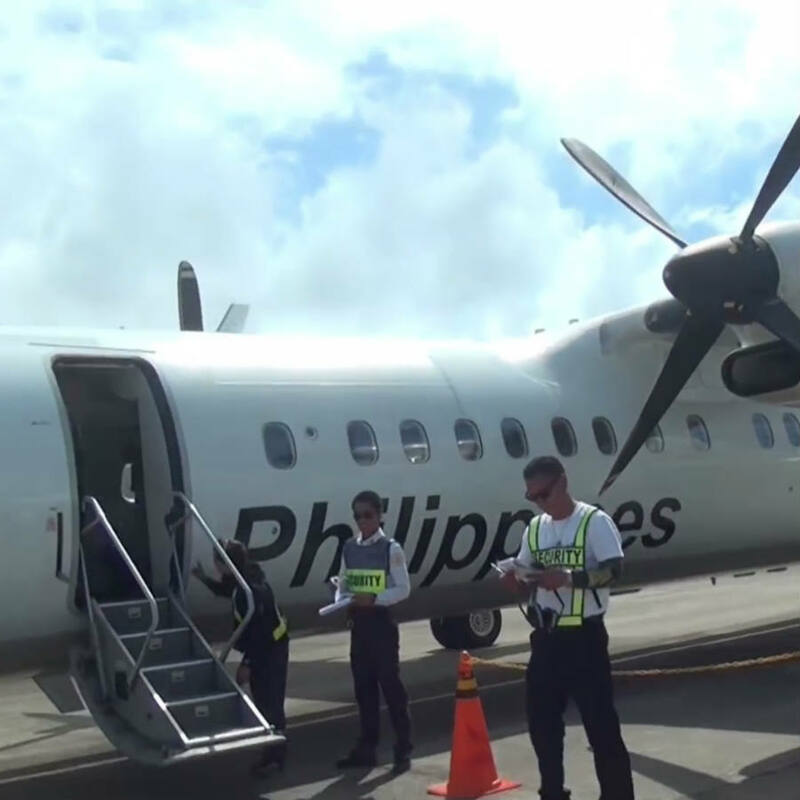 "We're delighted that our customers had the flight of their lives," a spokeswoman said. 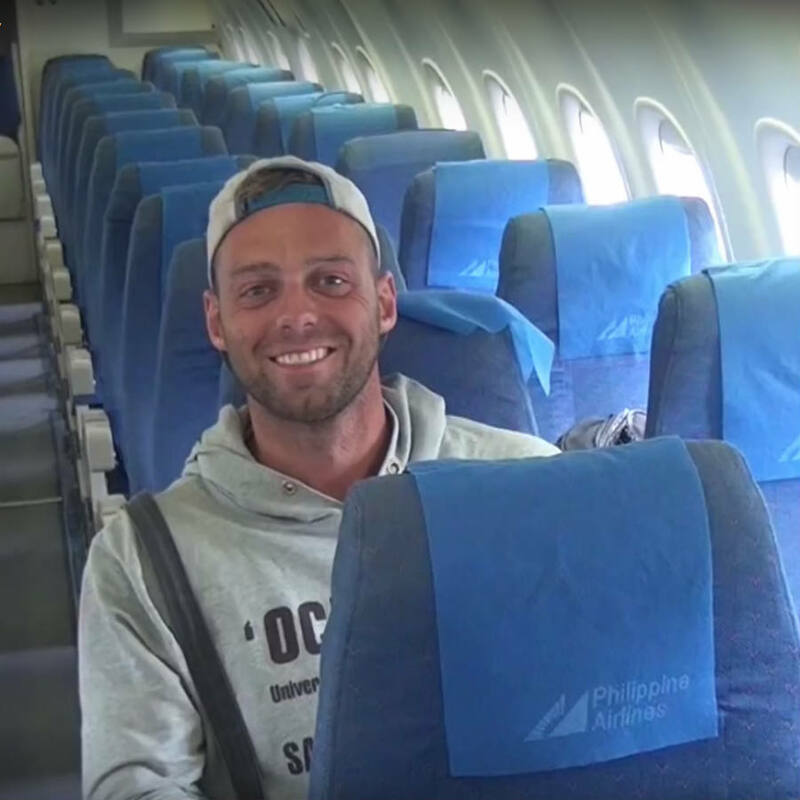 Alex Simon, 28, basically had his own private plane, as he was the only passenger who turned up for a Philippine Airlines flight. 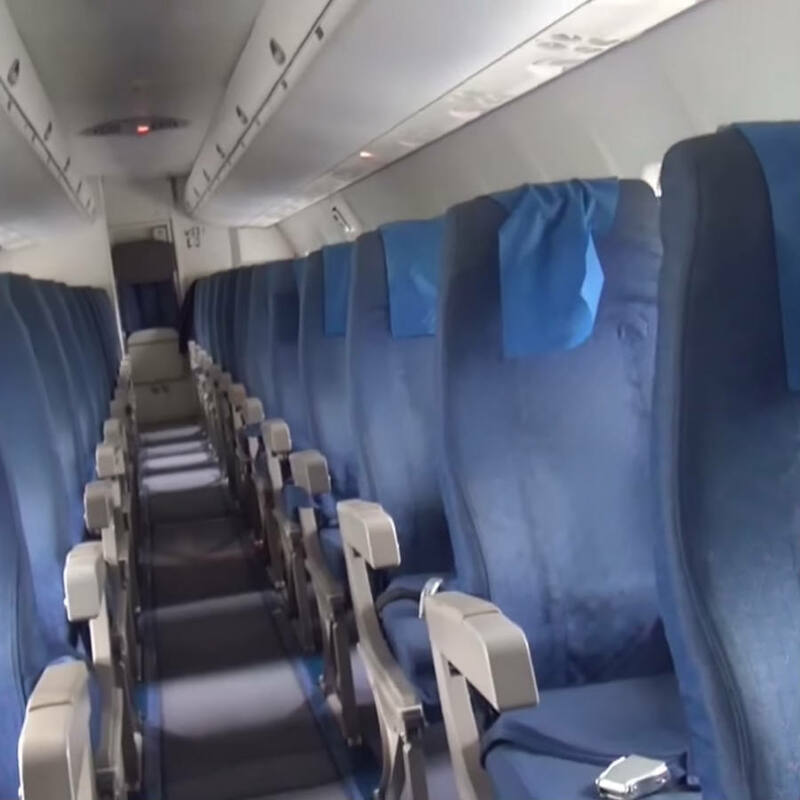 The travel blogger, who lives in Austria, was stunned when no one else boarded the twin turboprop. 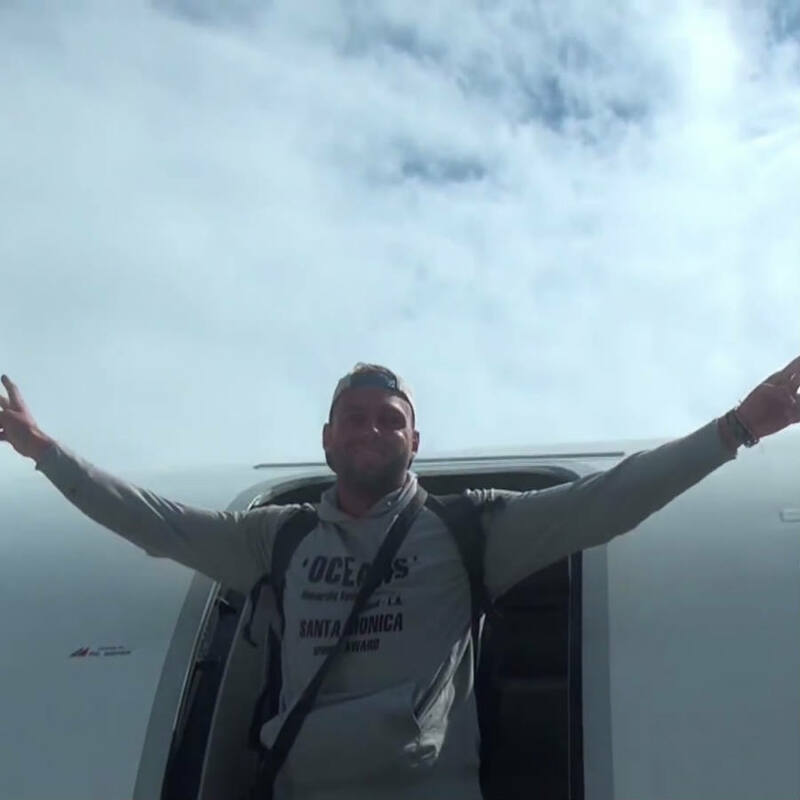 "This is my own plane. Nobody's here. I booked the whole plane just for me and the crew. 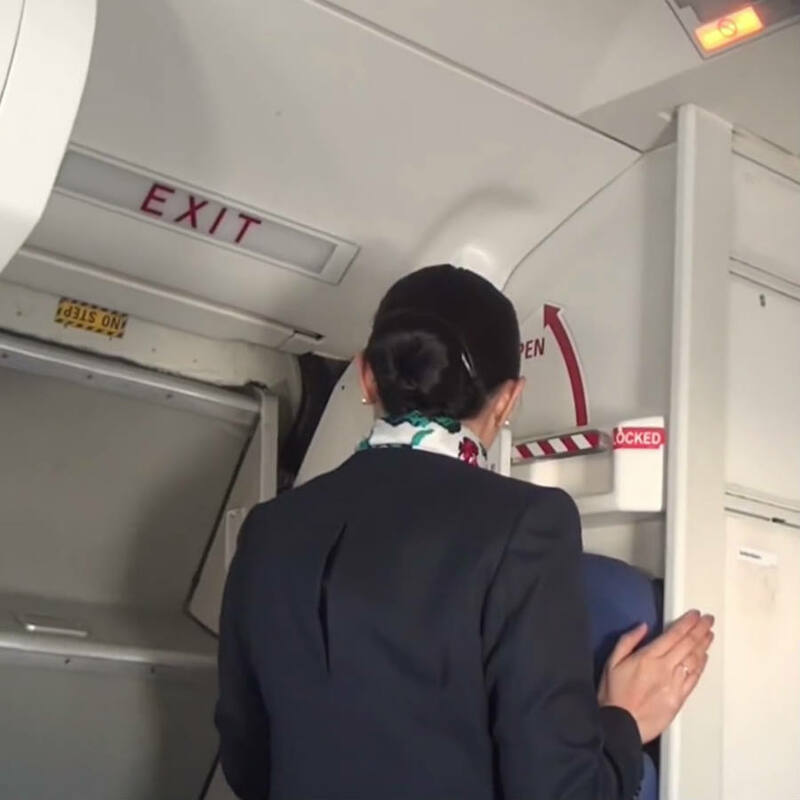 Maybe I'll sit next to the pilot," he said, much to the amusement of the flight attendant. He even had the chance to make a visit to the cockpit to chat with pilots before takeoff. Simon told MailOnline Travel: 'When I arrived to the airport I just heard my name on the speaker, "Sir Alexander Simon, please come to the information." 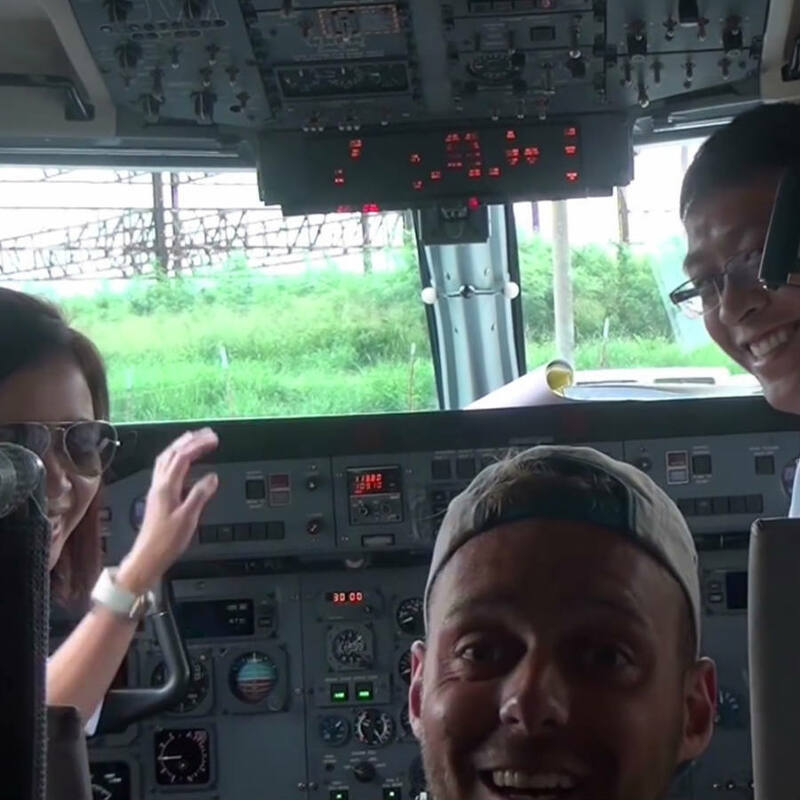 The cabin crew had fun with the peculiar situation, taking turns to film Simon on his flight. He was told that flights taking the same route are usually packed with people. 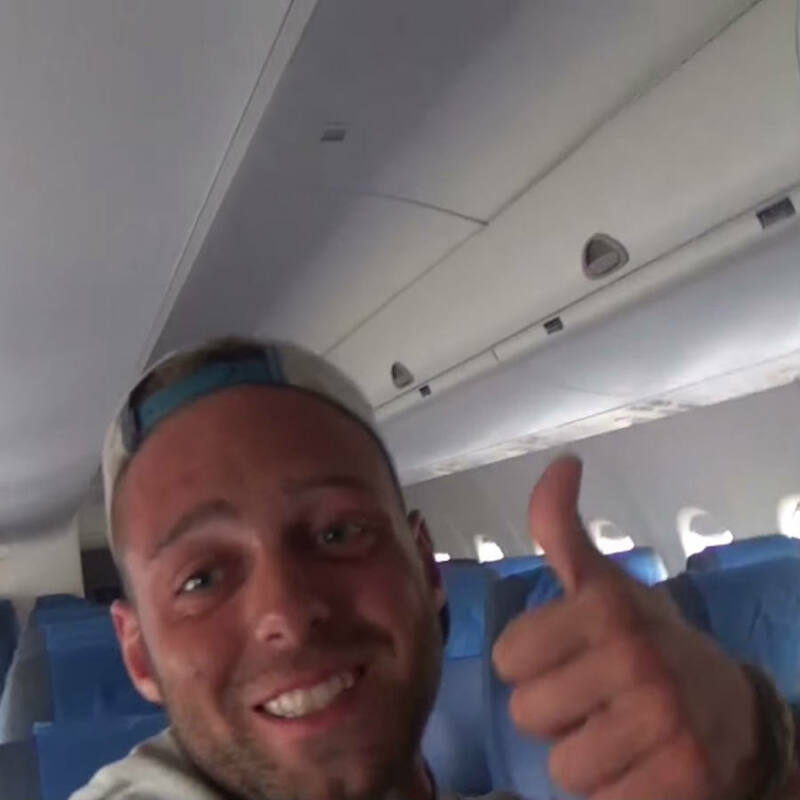 The air steward was amused when Simon called him the "friend of the pilot" in his youtube video. The air stewardess laughed merrily as Simon cheekily introduced her as "pilot's girlfriend". 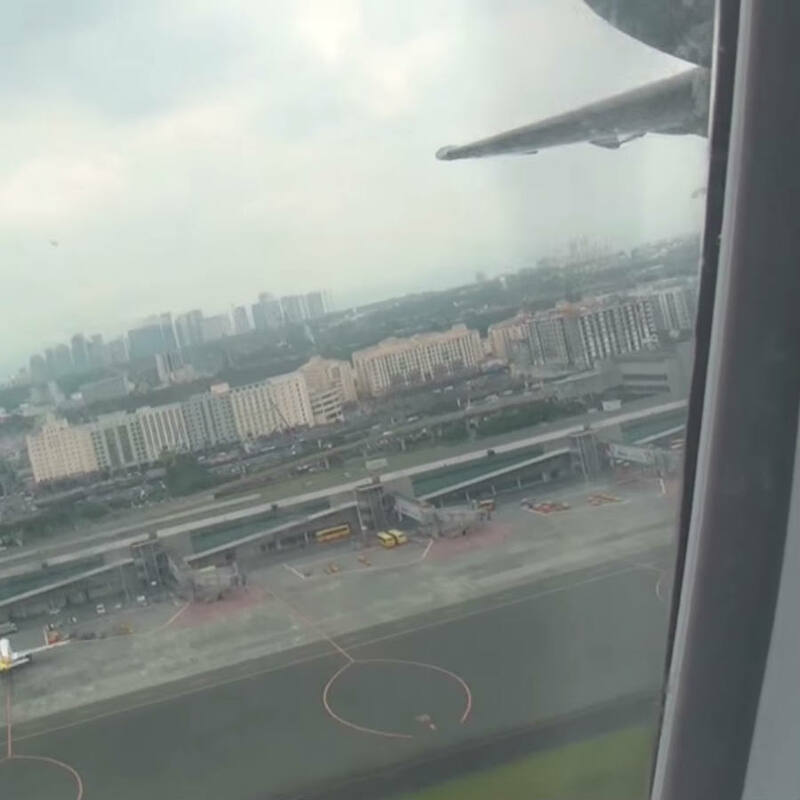 The flight took off from Manila, Philippines. Simon said the female flight attendant told him: 'You can sit anywhere, because you’re the only passenger', much to Simon's delight. He ended up seating at the first row, next to the window. 'I just had luck, I think, that no one else was interested on this day to fly to paradise,' he explained. 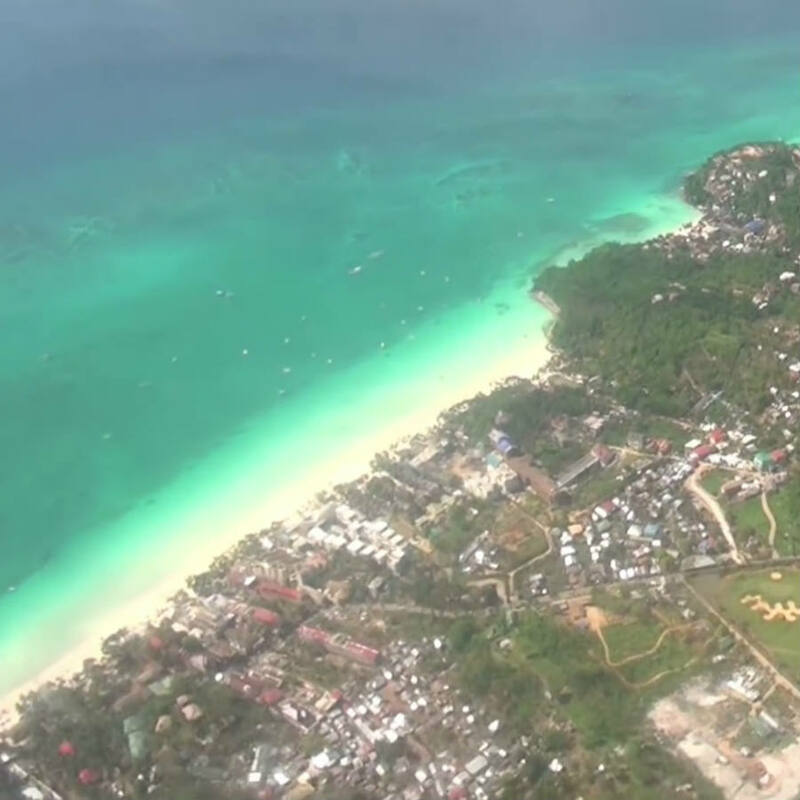 His destination was the beautiful island of Boracay, in the Western Visayas region of the Philippines. This three-and-a-half minutes video recently went viral, reaching over one million views on Youtube, despite being posted on February last year. 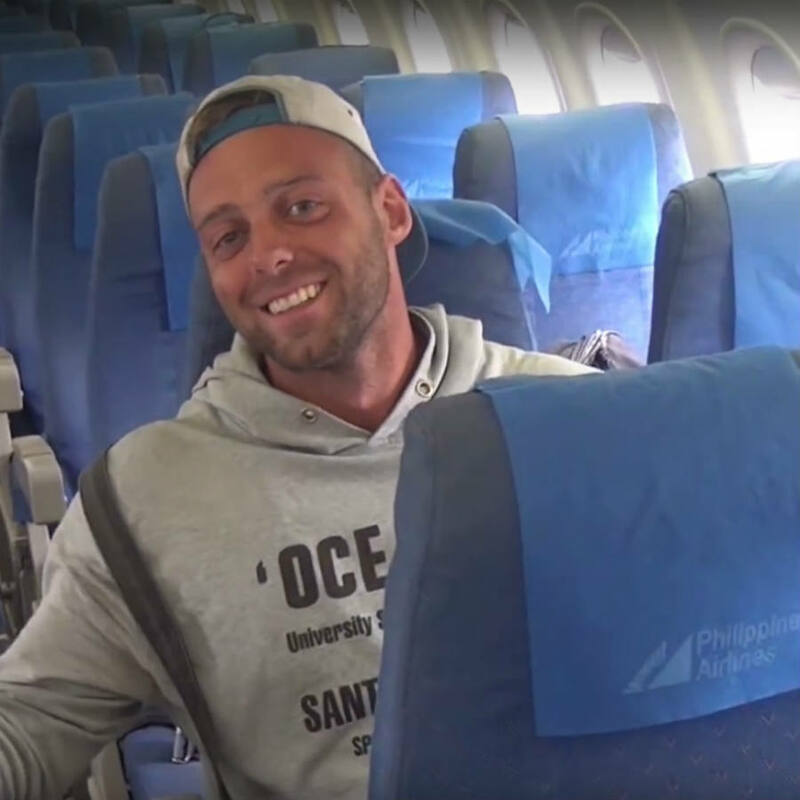 The 28-year-old said the flight was unforgettable and he felt like a superstar during the journey.